Welcome to my first Author Interview post! 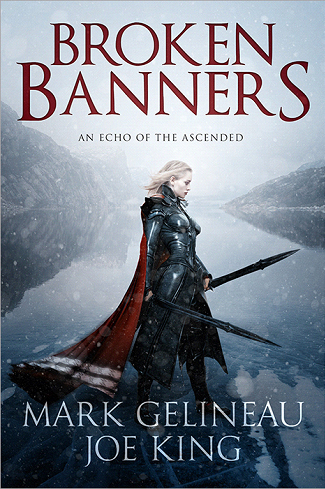 Today I’ll be talking to Mark Gelineau and Joe King about their Echoes of the Ascended series; an action packed collection of fantasy novellas ranging from high fantasy epic to dark and twisted horror. If you want a novella that packs an immediate (and satisfying) punch, then give these guys a go! Hi Joe and Mark, thank you for joining me today! For readers who are unfamiliar with your writing, could you tell us a little bit about your Echoes of the Ascended series? J: Mark and I are very big into myth and history and creation stories. When we were fleshing our world of Aedaron, we really wanted the legend of the First Ascended, the very first heroes of our world, to be at the center of everything. In the same way that Mark and I grew up dreaming about myth and creation, so do our characters. Echoes of the Ascended follows the lives of five orphans who grew up together. In their own way, their lives and stories mirror those of the First Ascended. They, essentially, are a new generation, or echo, of what had come before. M: Imagine each series like a movie in the Marvel Cinematic Universe. You’ve got your Iron Man, Thor, Captain America. Each follows its own main character, but they all inhabit the same world, and the things they do in their own movies effects and changes the world for all. I always think of the initial stages of writing as a fairly solitary process, how does this process differ when writing in a partnership? And what would you say are the main benefits and hindrances of writing as a duo? M: Our process is interesting in that Joe handles a large part of the story concept and structure. I do a lot of the first draft writing, and a lot of the “flavor” (research, production design kind of stuff). One of the greatest benefits has to be what I call “the build.” It’s when we are breaking a story and we get to riff back and forth on ideas, building them together to arrive at something really cool. The biggest hindrance has to be scheduling. It is already difficult to be a writer on top of having a family and a day job. But when you add another schedule of work and family on top of that, it makes meeting hard to coordinate. And unfortunately, there really is no substitute for hanging out and talking in the same room. J: The best part of writing as a team is the ability to tag out. We each get to (and have to) play a lot of different roles in the process, but it is incredibly freeing and comforting to know we can always get help or swap out of any given task that we get stuck on. It always keeps us moving forward, and I know that’s always the biggest obstacle when I work alone. Once you stop, you are stopped for a long long time. With such a wonderfully diverse range of fantasy novellas, who – or what – are you most influenced by when writing? M: We are both big movie and TV guys, so you definitely can see some of that in the writing. Joss Whedon is someone I really love. All kinds of stuff that we love makes their way into the thoughts about the novellas. A lot of the relationship and dialogue in Best Left in the Shadows is my desire to write an episode of Moonlighting, my favorite show when I was a kid. A little bit of the Thin Man, a little bit of Castle. 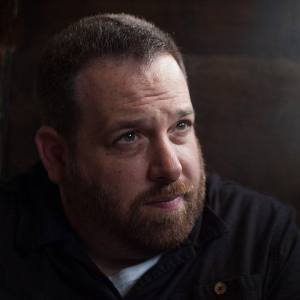 I’ve always been a comics guy, so there are certain writers there who influenced me. 80’s era Chris Claremont X-Men, Garth Ennis, particularly Preacher. Pretty much anything by Warren Ellis. As for fantasy, I grew up loving David Eddings. Joe was a big Terry Brooks fan. For current fantasy, I love Joe Abercrombie’s stuff. I also find that when I am writing, I really love to have images available to look at and refer to. I like having that visual reference to contextualize what I am writing. Gathering those images is among my first steps. Music is also a really big deal when i write. I have to have music going, and it definitely affects things. 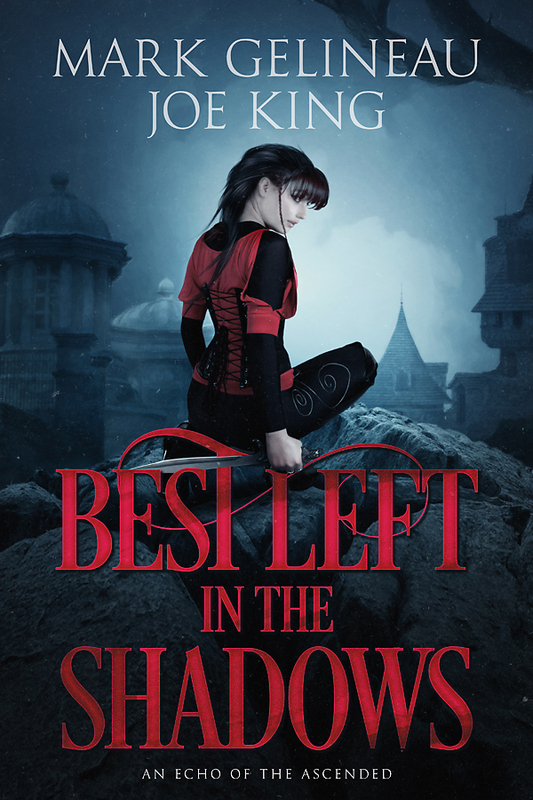 Best Left in the Shadows was written while I was listening to a lot of electro swing. Anything Elinor is written to a lot of Florence and the Machine. J: I still am a big Terry Brooks fan! As well as Martin, Feist, and a lot of the old school iconic Fantasy writers of the 80’s and 90’s. I have to shamefully confess I haven’t read much of the contemporary guys (and gals) of fantasy, so most of my influences now are from TV and movies. 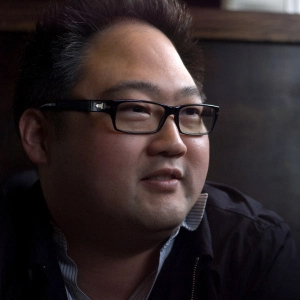 Joss Whedon, Aaron Sorkin, Danny Boyle, David Fincher, JJ Abrams are writers/creators I really admire. A lot of the episodic feel of our stories is from that style of storytelling. A Reaper of Stone impressed me with your skill in creating what seems to be a very in depth world over a relatively short number of pages. How much planning and worldbuilding do you undertake before actually writing the narrative? J: We really put a challenge on ourselves when writing these books. Our design concept was to try and capture all the worldbuilding and wonder of the fantasy books we loved, but make the stories as tight and as short as possible. To do that, we had to come up with most of the worldbuilding along with the plot before we start writing. The hardest part is actually NOT putting cool worldbuilding ideas in that we think of while writing the story. We have to be very strict about it to ensure the story keeps moving. Anything that doesn’t move the story forward or is relevant to the current story being told, we cut it. We don’t throw that idea away mind you. Sometimes, the world concept is better told in a different series and we get to use it there. M: For example, in A Reaper of Stone, Elinor fights Razors, our magically gifted duelists. We don’t go too much detail into how the Razor magic works or the history of their magic because it’s not directly relevant to the story being told. We mention enough to pique interest and make sense in the current story. 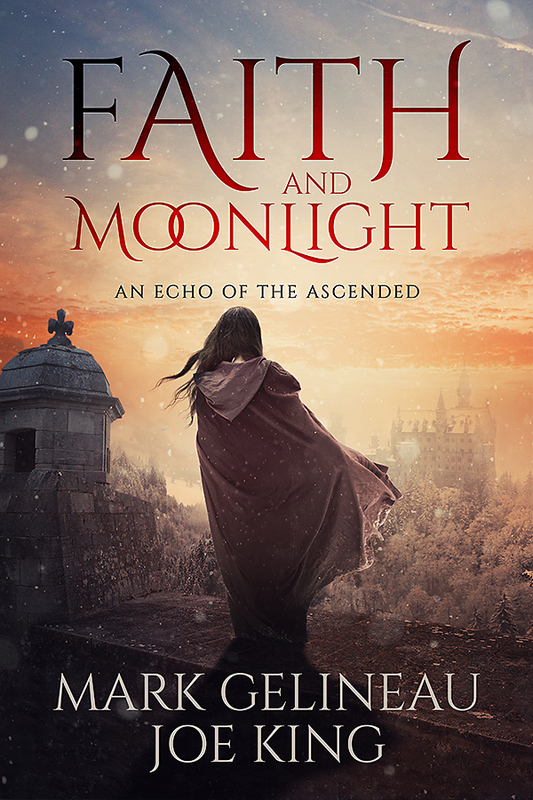 Then we really get to go into it in our series Faith and Moonlight, a story that takes place in a Razor School. 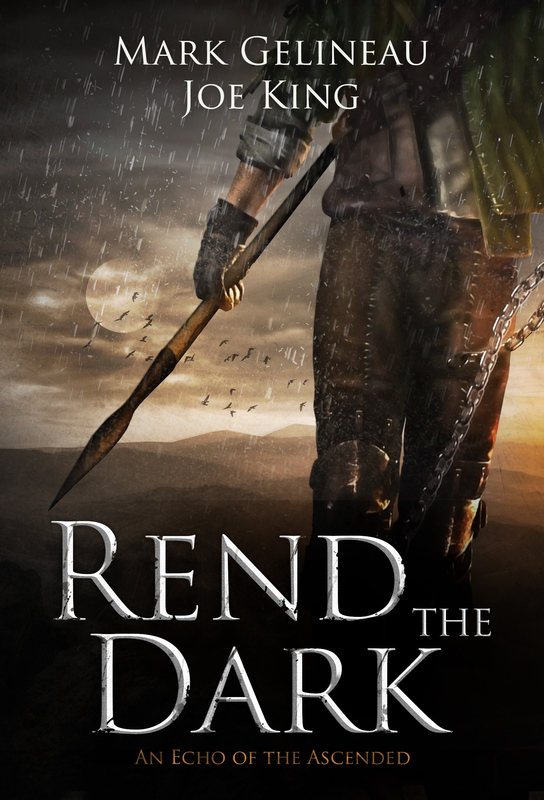 We’ve had a touch of high fantasy in A Reaper of Stone and some dark fantasy horror in Rend the Dark. Are these divergences in genre by design or do you allow them to develop organically? J: It’s actually by design. We wanted four series in the same world, but very different styles of stories. We really wanted to create something where everyone might not love everything we did, but there could at least be one type of series that you could enjoy. And plus, it’s more fun this way. M: Really, it is more fun. One of the interesting things that comes with collaboration is that you have two people, both with their different areas of interest, and passion. The different emphases of the four series allow the two of us to explore those passions and story styles. In A Reaper of Stone we get a taste of your skill in monster creation and during Rend the Dark this is unleashed in full force for an incredibly vivid and cinematic experience. What are your main influences when creating your literary monsters and how do you ensure they have the intended impact on the audience? M: I am a big fan of the Lovecraft Mythos. I like my monsters big and mind-shattering. I am a big horror guy, but definitely more monsters and mood than blood and gore. I really like Tim Curran’s stuff. Dead Sea is maybe the best Lovecraft Mythos story I have read. I also have a soft spot in my heart for French director Christophe Gans. I think his Silent Hill movie has some beautifully horrifying imagery in it. And his Brotherhood of the Wolf is like my imagination got put on film. As far as impact, we try to really make the reactions honest. What i feel like in this situation? The answer to that is usually far from flattering, but it is honest, and it is a good starting point for how characters react to the creatures. J: I am very much not a horror guy. I am the opposite of a horror guy. My wife still gives me hell for the one time I let her convince me to go with her to a haunted house and every time something would jump out at us I’d scream and shove her in front of me like a shield. But I love writing about fear. It’s such a raw, relatable human feeling. I love the tension. And I love exploring how the same stimulus can make some people break and some people rise up in ways they never expected. I think that’s why Mark and I enjoy writing horror together. He understands what is terrifying in a way that I don’t (because I think everything is terrifying!). And I really like exploring the human aspects of what happens in the face of that horror. There are hints and links throughout these novellas which seemingly connect each of the narratives together. Can we expect to be able to build a complete picture of Aedaron from these novellas? And is there a chance of any character crossovers? J: We definitely want to cross some characters over into other books. It’s just way too fun not to. In terms of building a complete picture, we want to be careful here. We really want to stand by our original promise that you could read any of our series without reading the others and have a full, rich experience. M: One of the things I hate about comic crossovers is that when they start, you have to read 1 story at a time across like 20 different books just to get the full story, that is totally choppy and inconsistent anyway. We don’t want to do it that way. We believe if you read all the series, you will definitely get a richer, fuller experience of Aedaron, but we don’t want to force our readers to do it to have a good time. Do you have any plans for writing a feature length novel set in the same world? J: We’re really excited about doing the novellas and we’ve got a bunch mapped out already. But we’re definitely open to doing a novel if that’s what people really start clamoring for. To be honest, we’re really novel writers at heart, so it will always be something we’re open to. So feel free to start the clamoring at any time! M: I always give Joe a hard time that he is relatively unable to do things on a small scale. Case in point. Not just one novella, not just one series. Four series, running simultaneously, set in the same world, and released one after the other every month. See? No small scale. I think there will definitely be a full novel set in Aedaron. And I for one can’t wait to see what would happen in it. With four novellas already published, what is the next title we can expect? M: We are incredibly excited to be working on the second book in each of the four series. 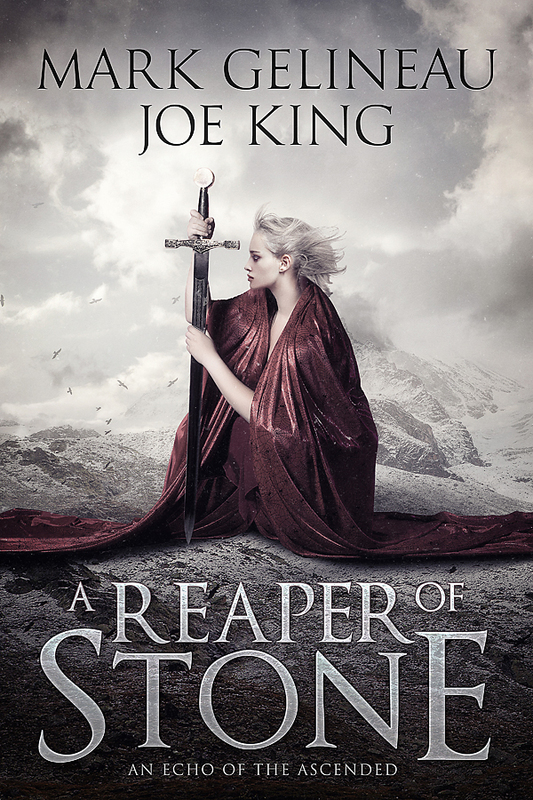 A Reaper of Stone book 2 is coming in February. It is titled Broken Banners, and we are really excited for it. Then, in March, we have Rend the Dark book 2. The book is called Skinshaper and we are hoping to take that dark fantasy horror feel even farther with this one. J: Yes, Broken Banners will be out Feb 15, 2016. I’ve only got the low-res cover available right now, but here’s a sneak peek! Thank you Joe and Mark! That is one gorgeous cover and I can’t wait to read what’s in store for Elinor! Great interview. I love all these series, and am so glad others are discovering them as well.